Your Environmental Policy is a written statement, signed by senior management, which outlines your organisation’s commitment to managing its environmental impacts. Unlike H&S policies, there is no legal requirement for organisations to have an adopted environmental policy. However, it is essential if you want to implement an ISO 14001 EMS. It’s also vital if you work with large organisations who often ask for EMS certification and info on your environmental improvements. 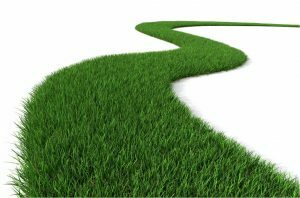 There is no standard content for an environmental policy, although they often contain the same themes; plus there are specific requirements within ISO 14001. -1- The policy is meant for everyone to see, so make sure it’s easy to read and understand – not too dry or filled with jargon. -2- Make it realistic, achievable and relevant to your activities and practices. Readers should be able to understand what your main impacts are and how you are committed to managing them. -3- It should be signed and endorsed by the MD or the Board. Without top level commitment, it’s unlikely that anything (meaningful) will get done. -4- It should be regularly reviewed and updated as necessary. -5- Make it memorable – not just a dry policy document. It should inspire people to find out more about your environmental activities & successes, so that they can get involved too. I’ve seen lots of bad examples of policies & how they’re used: too much jargon; just a bit dull; woolly with no firm commitments; not relevant to the organisation’s significant impacts; and maybe worst of all, it’s not used! Remember, your Environmental Policy is often people’s first introduction to your environmental management activities. Make it interesting, relevant and available. For further details on writing your Environmental Policy, see my Eshcon Info factsheets.